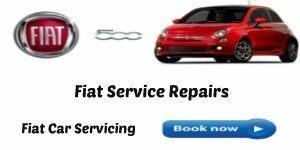 Alfa Romeo Engine Diagnostics Service - Abarth Engine Diagnostics Service - Fiat Engine Diagnostics Service - Melbourne Car Engine Diagnostics Service. We are Located in 1/31 Onslow Ave. Campbellfield Near Gowrie Railway Station – Glenroy & Keon Station Thomastown. 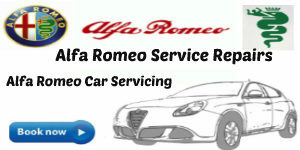 Melbourne Alfa Romeo Repairs-Melbourne Fiat Repairs-Melbourne Abarth Repairs-Melbourne Lancia Repairs. 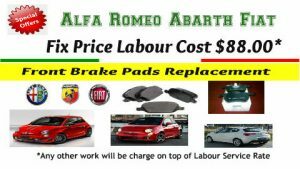 At Frank Donnini Mechanical Repairs in Campbellfield Frank Donnini has invested in the latest Premium Dealer Level Multi System Multi Vehicle Complete Diagnostic & Programming Scan Tool.Alfa Romeo Abarth Fiat. Dealer Level Multi System Multi Vehicle Complete Diagnostic & Programming Scan Tool.Covers Cars up to & including 2016 models & European and Local Cars. This is a dealer level highly comprehensive automotive diagnostic package which has a long list of standard diagnostic functions and extra special functions which are generally only found in high end main dealer workshops. It is one of the most extensive & customised kits on the market in 2016, covering over 65 manufacturers from Europe, America & Asia (see full coverage list below) is built on a unique platform with high speed stable diagnosis software. When we refer to diagnostics, we’re generally speaking of troubleshooting an electrical component in the vehicle such as a sensor failure for the engine management system that would turn on the “Check Engine” light. But realistically a diagnostic could be anything where a specialized piece of equipment is needed to pinpoint test a component in any system in your vehicle. With today”s Technology advancements it has become a common mis -conception that automotive repair shop have a piece of equipment that simply plugs into the car and tells you what”s wrong with it. While diagnostic equipment has come a long ways,the most any equipment can do is provide a code number to point the technician in the right direction and live sensor data so that the technician can see what the vehicle computer is seeing, The technician still has to pinpoint test each component in the system to correctly diagnose the failure. We will carry out engine diagnostic checks to help pinpoint the exact fault. This takes less time in the long run and will make sure you only pay for the work that really needs doing. Engine Diagnostics For Most Makes & Models. 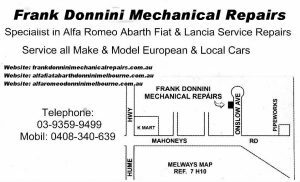 With specialist computer equipment and the latest software updates,Frank Donnini in Campbellfield are able to carry out engine diagnostics checks on most make and models of vehicles. We utilise the latest Diagnostic Technology to ensure rapid, accurate and effective analysis of a wide range of mechanical & electronic functions within your car. We use several vehicle diagnostic software packages enabling us to offer extensive diagnostic services to our customers from simple fault finding to comprehensive problem solving. 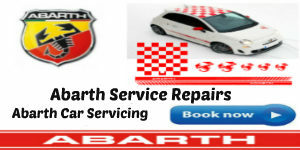 We use several vehicle diagnostic software packages and Scan Tools imported from Italy & U K.
with access to diagnostic specifications and service procedures on all makes and models – Alfa Romeo Abarth Fiat. Why is reprogramming so important? 1. Automobile manufacturers are constantly making changes to their controller software – making cars more efficient, fixing problems that have been discovered, fine tuning components and systems, updating cut points as cars age, solving problems such as rough idle and hard starting, repairing emissions related problems and many others. 2. New controllers replaced in a vehicle require programming to match the exact specifications and option list on the car being repaired. 3. Many of the Technical Service Bulletins (TSBs) issued by automobile manufacturers require reprogramming with the latest software updates to repair problems that are occurring with vehicles on the road even after their warranties have expired. Isn’t reprogramming just for cars that are still under warranty so only dealers will need this capability? Maybe you thought only cars still under warranty are being reprogrammed and it’s just not worth your while. Over 100 million cars on the road today support J2534 reprogramming. Studies indicate that 7 out of 10 vehicles on the road require a calibration update. Auto Manufacturers are constantly updating controller software to solve problems such as false DTCs, hesitation, rough idle, emissions problems, hard starting, poor fuel economy and others. These problems plague many cars that are no longer under warranty. SAE J2534 is a standard for communications between a computer and a vehicle. All automakers provide a J2534 service to EVERYONE for reprogramming (also called re-flashing) emissions related controllers.